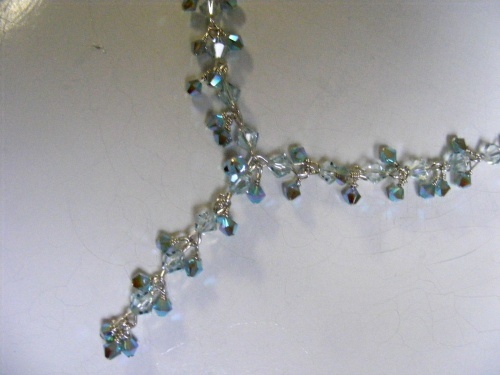 This beautiful tri necklace is made with loads of sparkly Swarovski crystals in aqua color with extra pop. The color is unbelievably pretty and boy this piece begs to be seen when worn. Measures 18" in length.